Commercial and industrial plumbing are a class all unto their own. The major difference between these and residential-type plumbing services is that they demand the construction of wider-scale plumbing systems, adhere to higher-grade usage of pipes and fixtures and anticipate potential for damage on a higher level. Therefore, it makes sense to contract a licensed plumber who is well versed in these standards, and can adapt their practice to this level of complexity. Wide Plumbing Services has a roster of seasoned professionals who have done plumbing on this scale. We’ll get you in touch with someone who can handle the size and difficulty of your job. 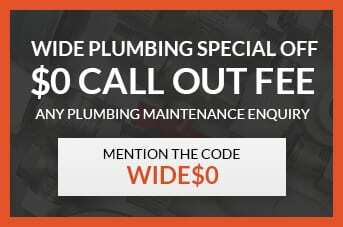 Call us at 0419 012 750 or send us an email at centralwideservices@gmail.com for inquiries on plumbing work to be done at the commercial or industrial level, and we’ll get back to you with an obligation-free project estimate. Commercial and industrial plumbing demand meticulous planning and implementation. If employed at this level, your plumber will need to scale their services to address buildings with multiple floors, more intricate pipe systems, and limited facilities. They’ll need to calculate for more frequent wear-and-tear and procure higher-grade pipes for this level of performance. Wide Plumbing Services has accumulated residential, commercial, and industrial plumbing experience all over the Central Coast. If you want to contract an adept and well-seasoned plumber for commercial and industrial-level services, be sure to give us a call. We’ll work out a project timeline, visit the site in question and offer you a free, no-obligation estimate that will be good for your budget. We give utmost importance to the type of work to be done, and we will factor in your approval for all additional plumbing work we may undertake. Contract with Wide Plumbing Services to achieve the finest plumbing system possible at this scale.